barbecue design showcases the innovations generated around this cooking method where cooking is done slowly over low, indirect heat and the food is flavored by the smoking process. 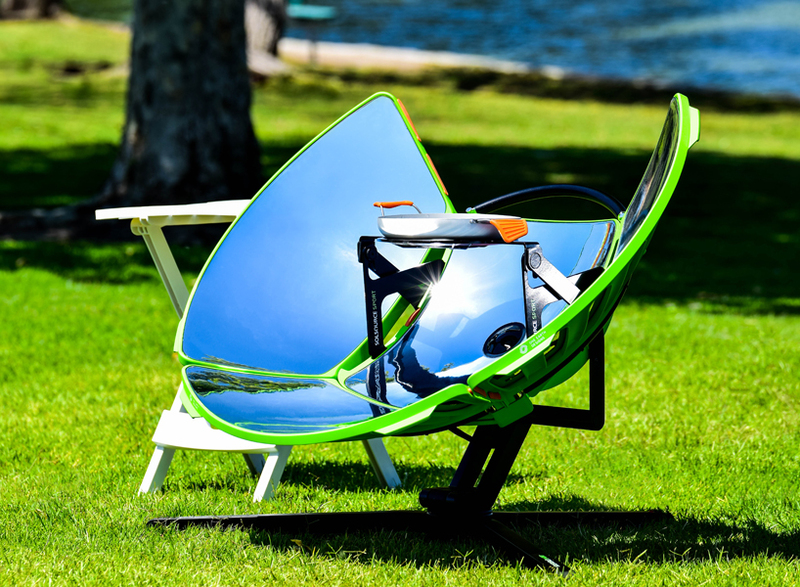 one earth designs’ ‘solsource sport’ fits into a 2-foot carrying case, weighs only 4.5 kilograms (10 pounds), and cooks meals using solar power in just 10 minutes. 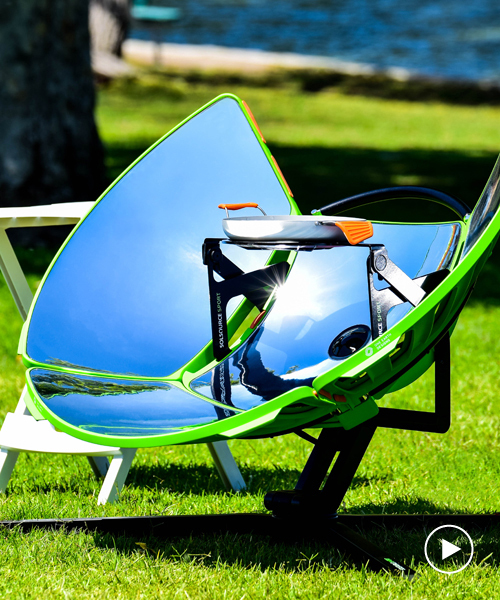 according to the manufacturer it packs more solar power per square foot than any other device, and it also heats up five times faster than a charcoal grill. it can reach cooking temperatures in seconds and is capable of boiling water in 10 minutes or less, using only sunlight. 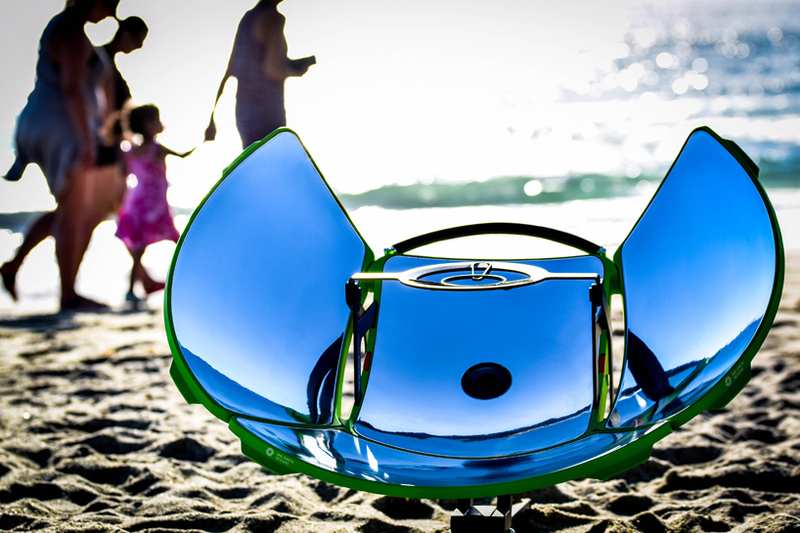 one earth designs’ ‘solsource sport’ is fuel-free and produces zero emissions, harnessing natural energy from the sun. 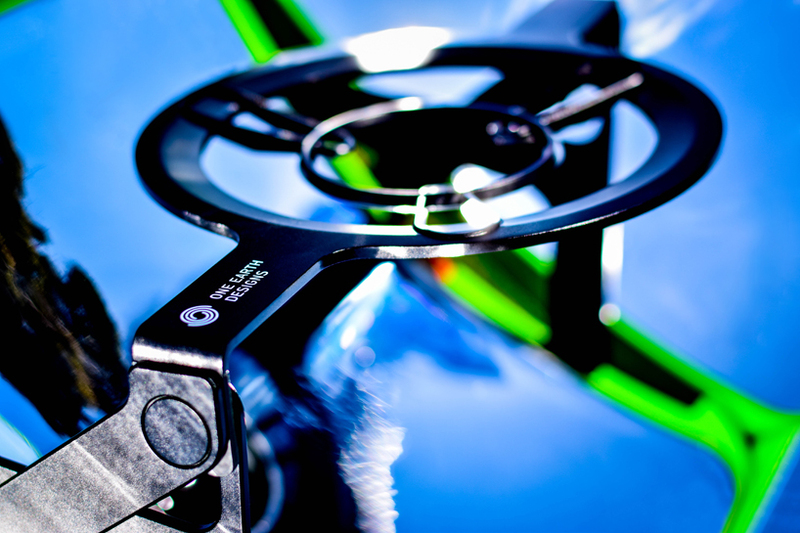 after a quick and easy assembly, the ‘solsource sport’ heats up immediately. 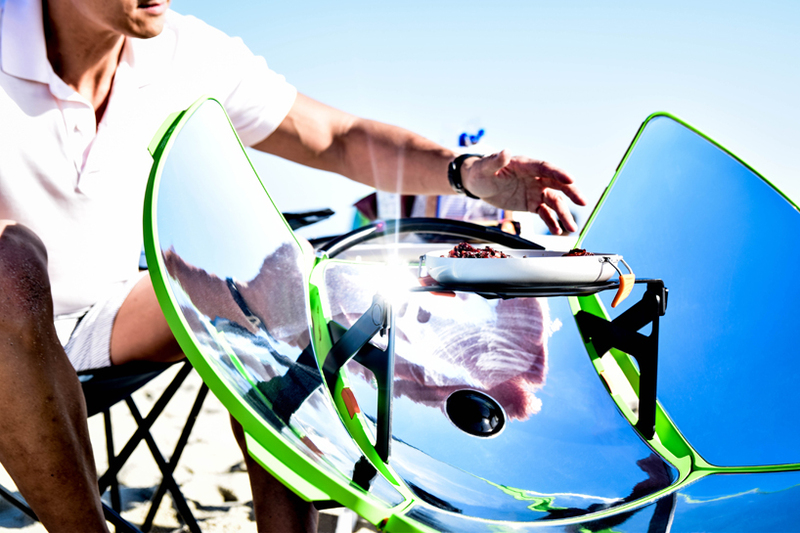 its satellite-like solar reflectors are designed with patented self-heating polymers, that stay cool while heating the grill pan. 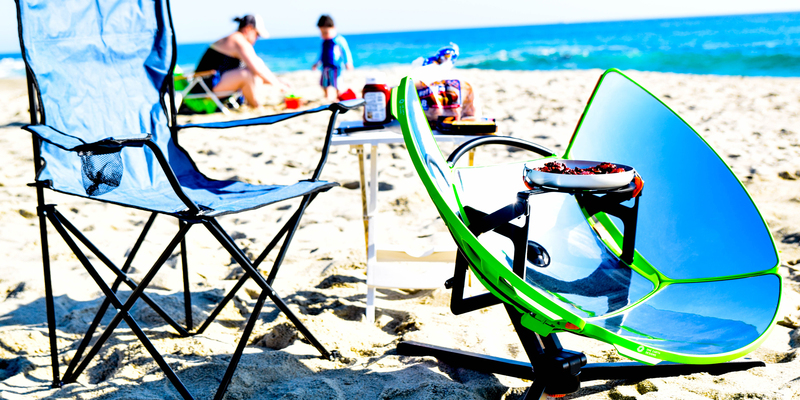 the portable ‘solsource sport’ is a great for garden parties, and is also made for camping trips, park picnics, beach bbqs, and sailing. the california-based company has placed eco-friendliness at the core of their product, making it from one-hundred percent recyclable materials, and designed with life cycle assessment. the founder and CEO of one earth designs, dr. caitlin powers, is a leading global authority in solar energy. she holds two patents in the field and teaches sustainable business and entrepreneurship at harvard’s center for health and global environment. 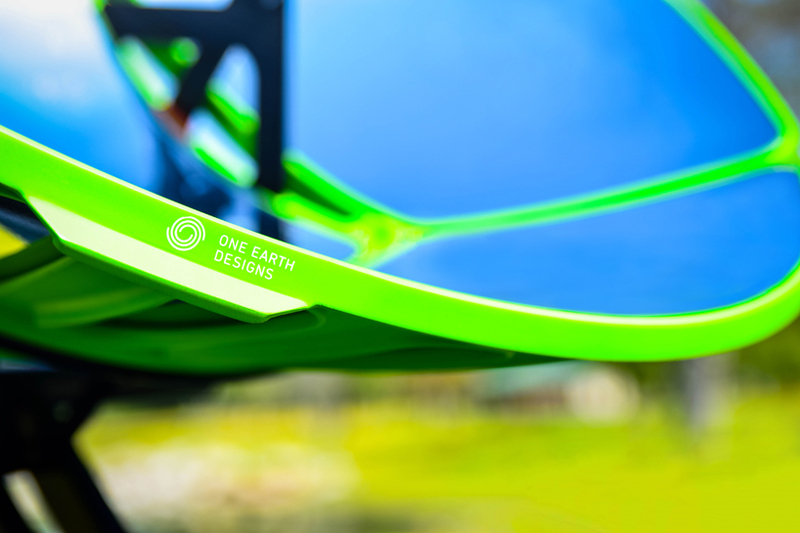 one earth designs has comfortably surpassed its funding target for its ‘solsource sport’ on its kickstarter campaign, which can be viewed in detail here.